Thomas Kitchen and Jarrett Laskey have been performing together for years and each bring their own unique skills and background to each performance. 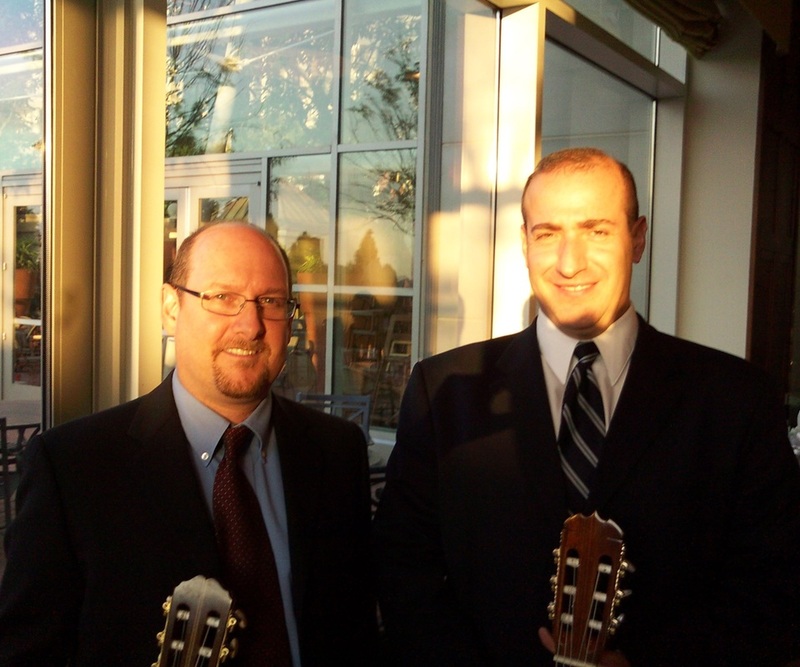 The Redwood Classical Guitar Duo strives to entertain our audiences with our passion for music and especially for the classical guitar. 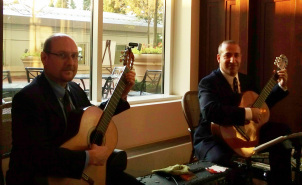 When you are looking for quality live entertainment then you must hear The Redwood Classical Guitar Duo. We perform anywhere in the greater D.C/VA/MD region. 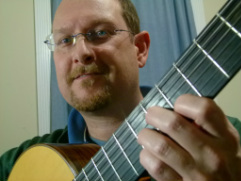 Known for offering an intelligent blend of classical music standards, and adding exciting highlights of modern jazz and popular Latin pieces performed both as a duet and individually as soloists. During our many seasons in Eastern Market area, we built a loyal group of followers who stopped by to hear us each and every week to enjoy great music while relaxing at the outdoor venue.